Light summer pasta made easy with fresh tomatoes! 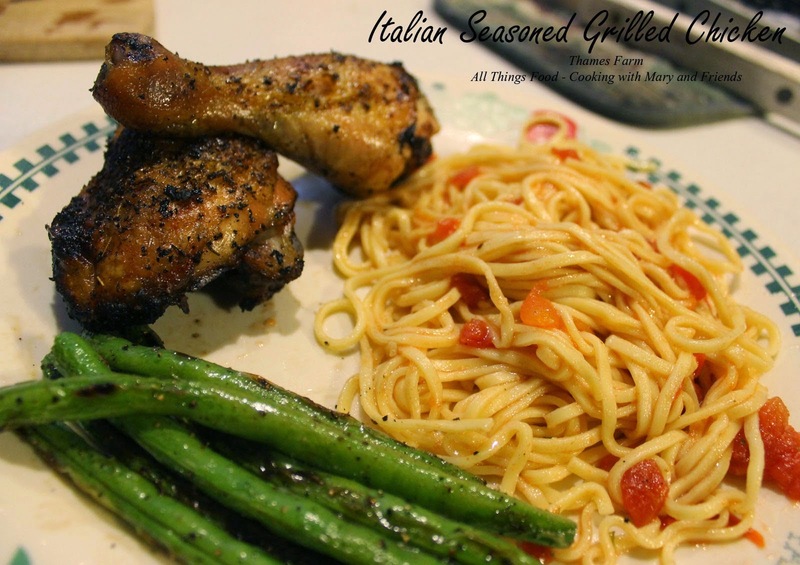 This is a great side dish with Italian Seasoned Grilled Chicken or other grilled meats and only takes minutes to throw together. When you are bored with the usual potato or pasta salads, give this Fresh Summer Pasta a try. Bring a large pot of water to a boil. Add a large handful of pasta and cook in boiling water until al dente; drain and add diced tomatoes, drizzle on some extra-virgin olive oil and sprinkle with garlic, oregano and pepper. Stir to combine, return to burner (you have turned off), cover and let sit until ready to serve. Just before serving, top with shredded Parmesan cheese.